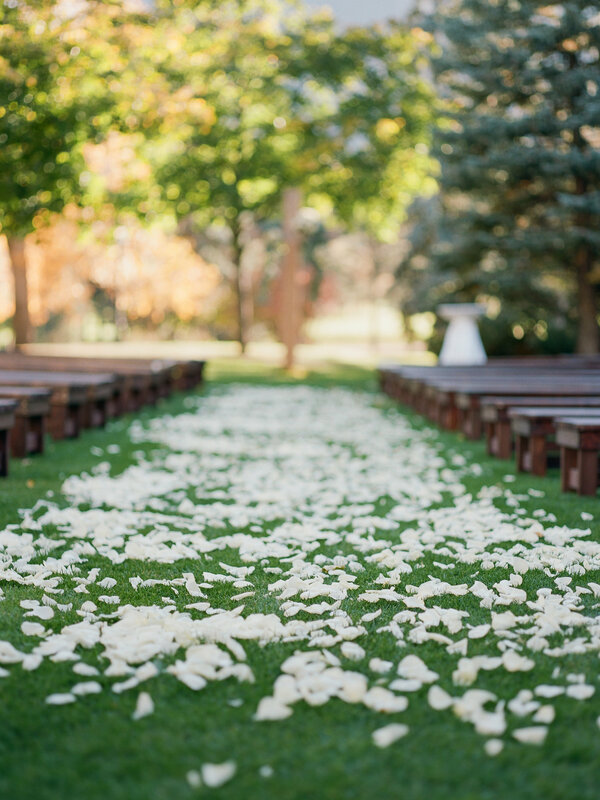 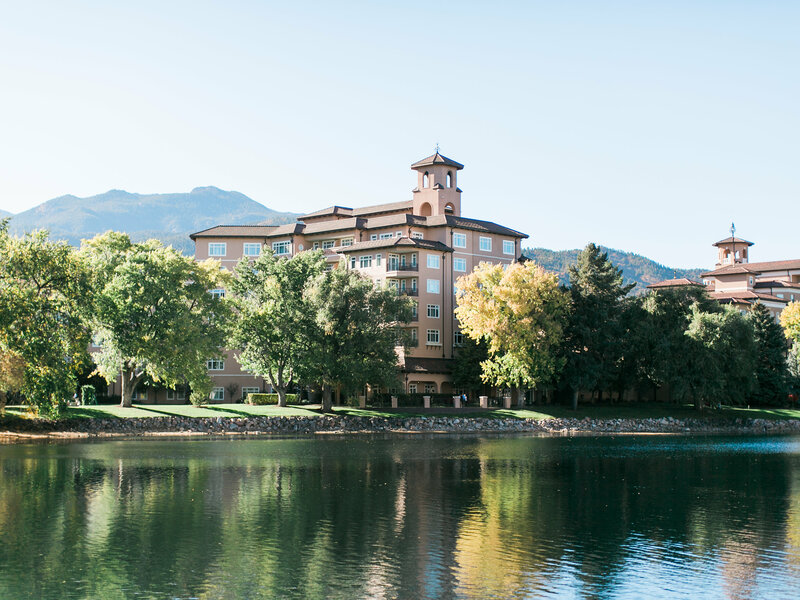 The ceremony was held on the west lawn of the Broadmoor, with a petal-strewn aisle and rows of wooden pews. 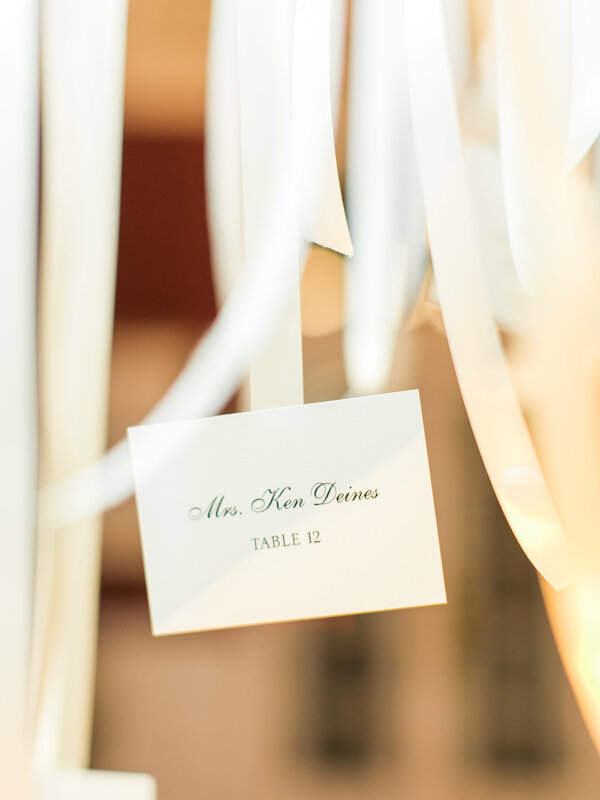 The couple’s programs carried on the watercolor theme from the invitations and guided guests through the service. 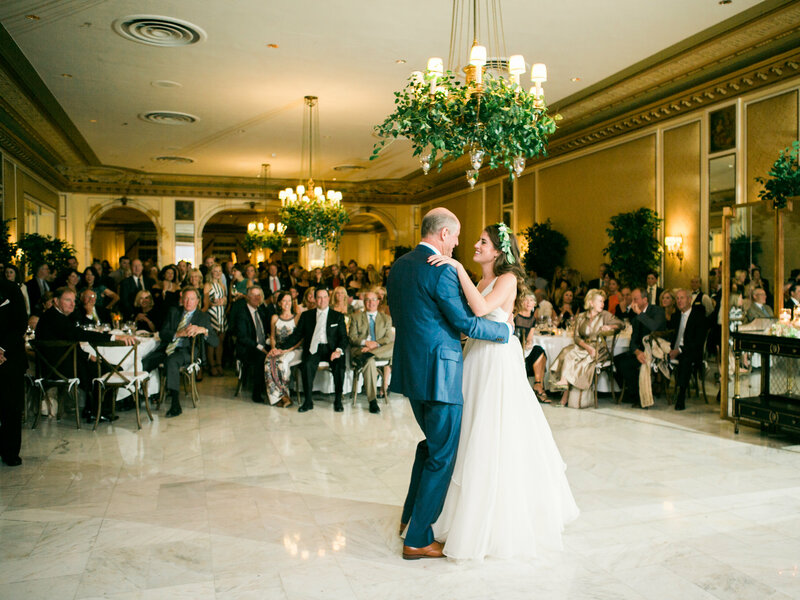 One of the most memorable moments came when Kathleen walked down the aisle with her father as her god-sister sang along to the music of a string quartet. 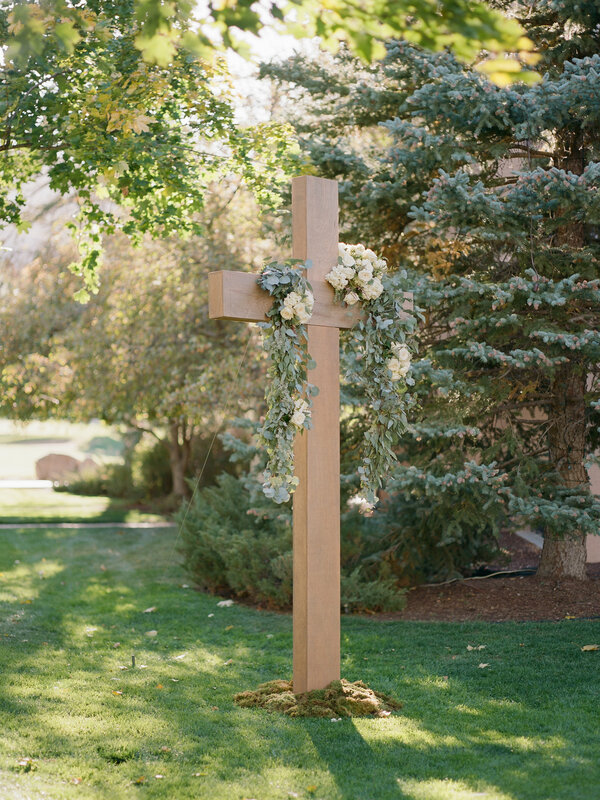 “She brought the whole congregation to tears,” remembers the bride. 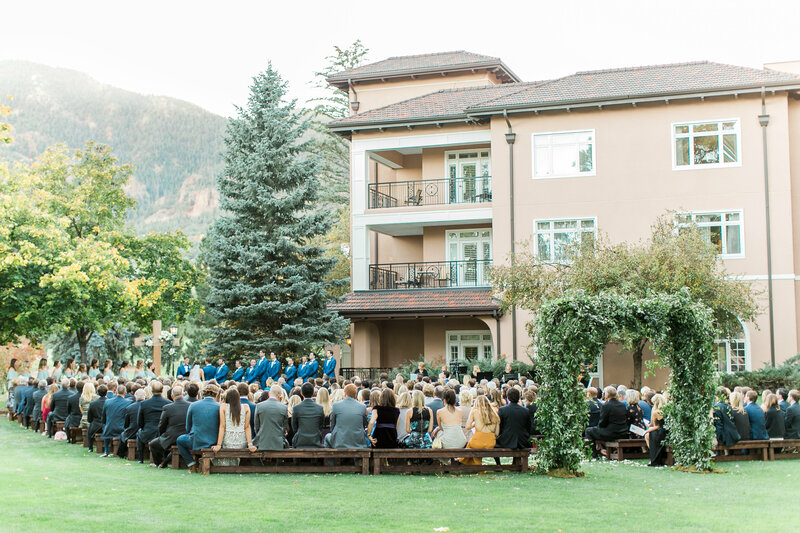 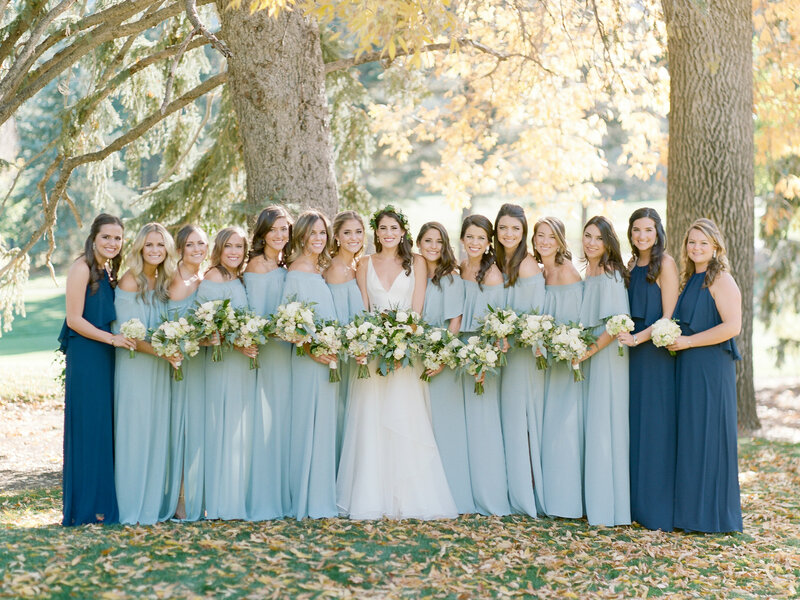 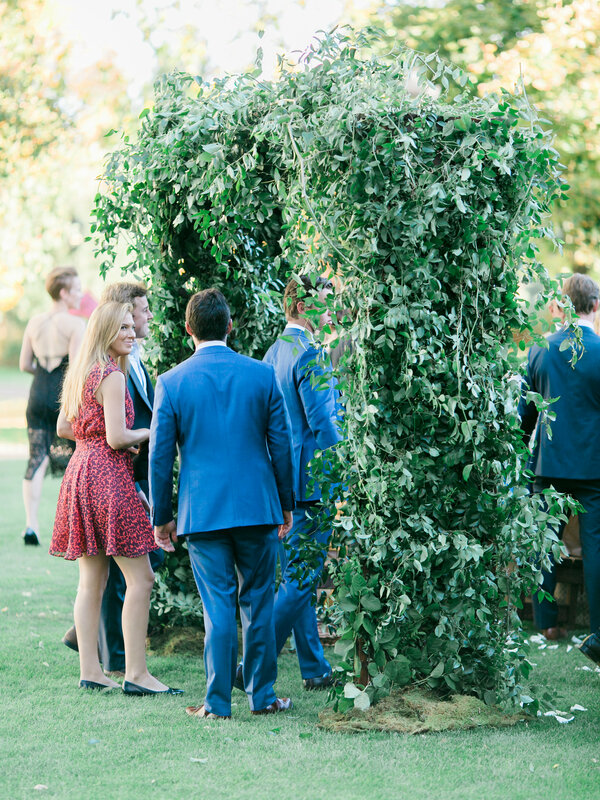 After exchanging traditional vows, the newlyweds headed to the lakeside terrace to enjoy the cocktail hour—and were escorted there by one very festive guest: a bagpiper. 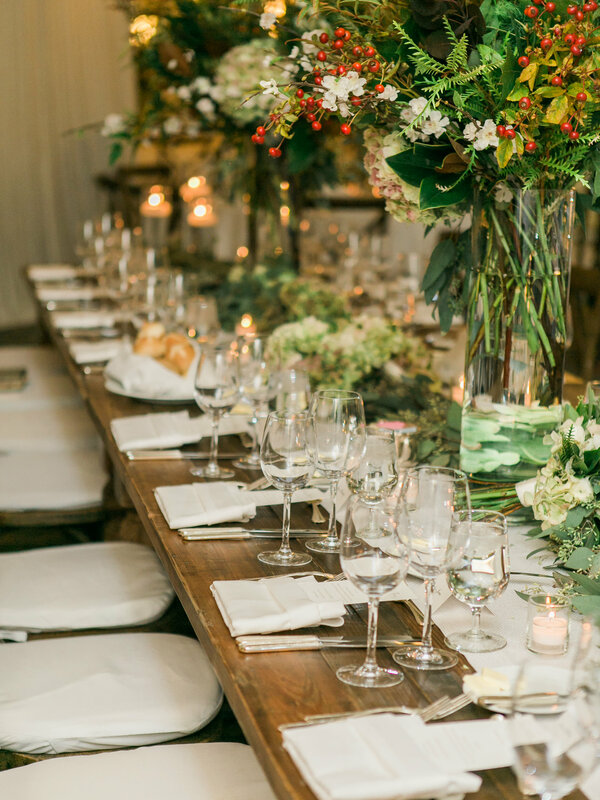 The décor in the dining room was minimal and natural, with tall leafy centerpieces spotted with white flowers and red berries in glass vases on each table. 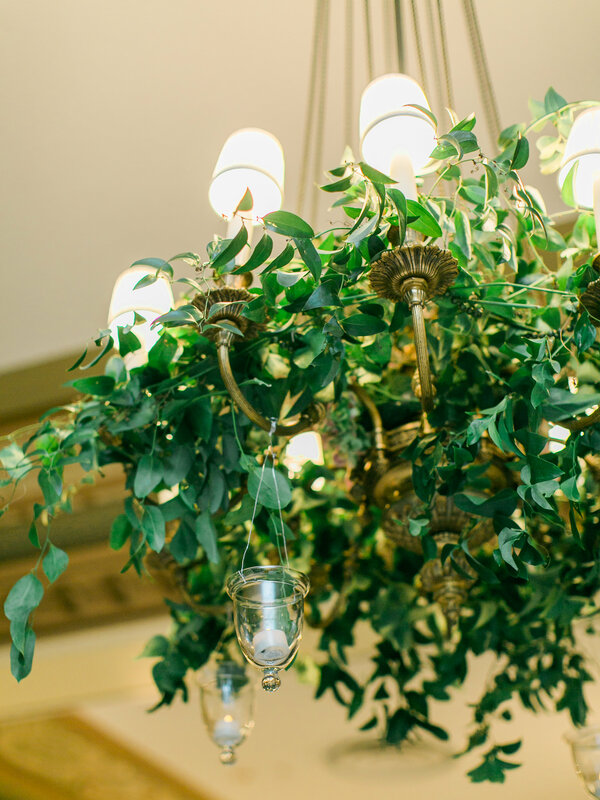 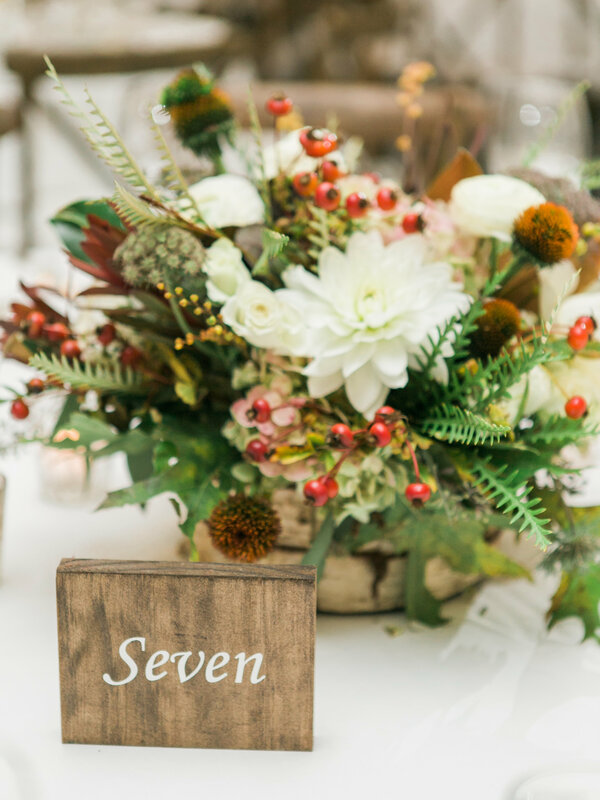 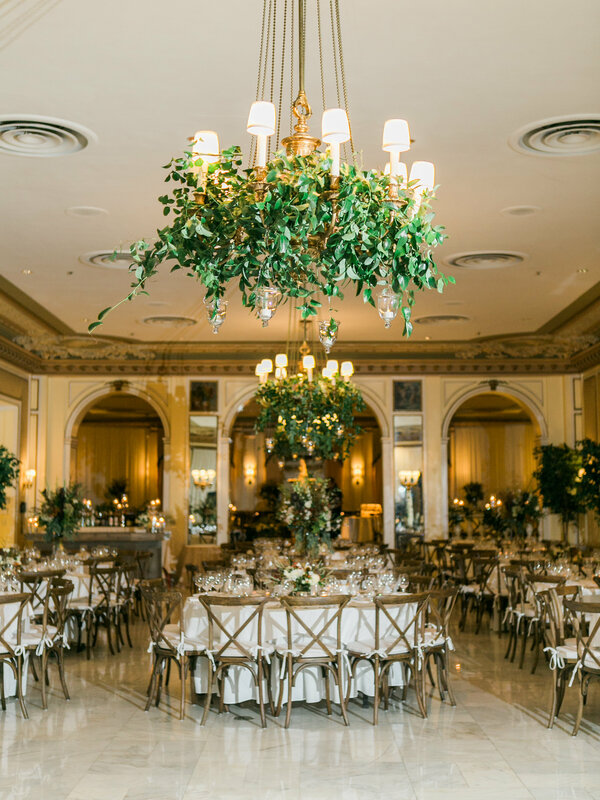 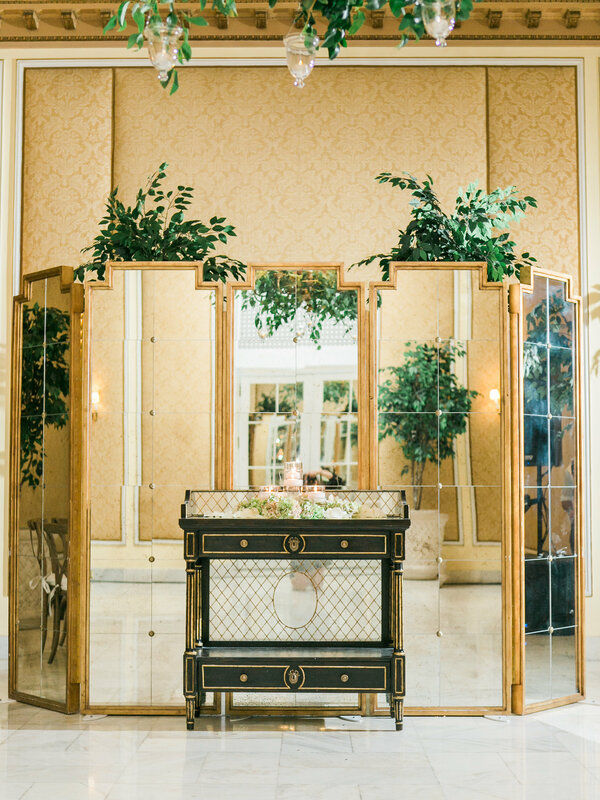 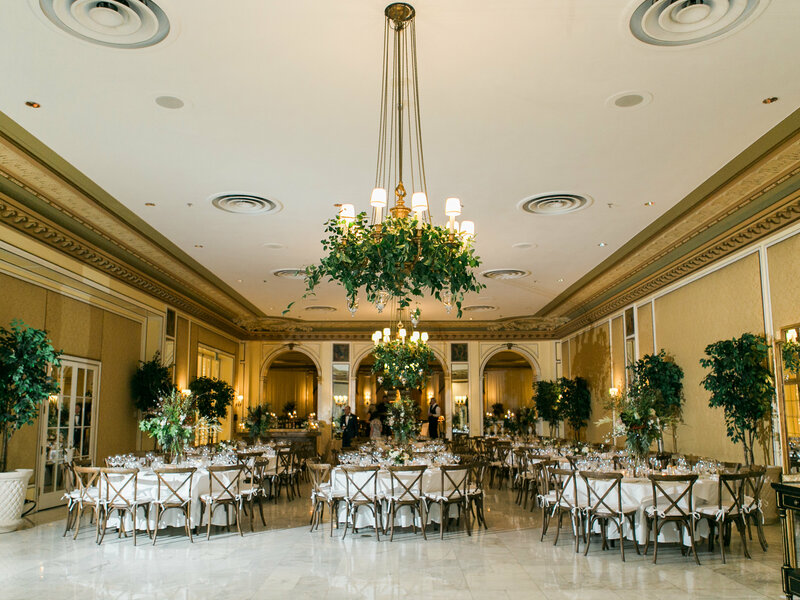 Floral arrangements were hung from the room’s chandeliers, making use of the space from top to bottom and adding an outdoorsy feel to the ballroom space. 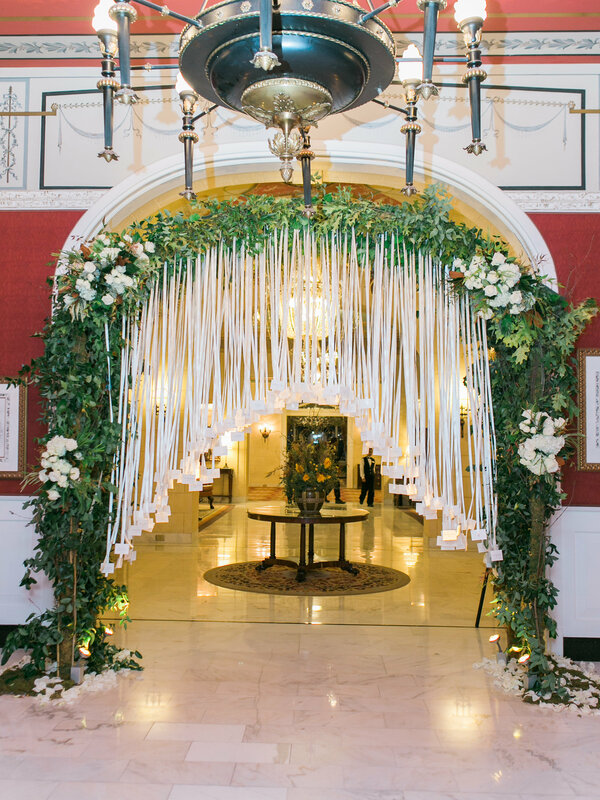 Seating assignments dangled from white ribbons, creating a whimsical entryway to the main room. 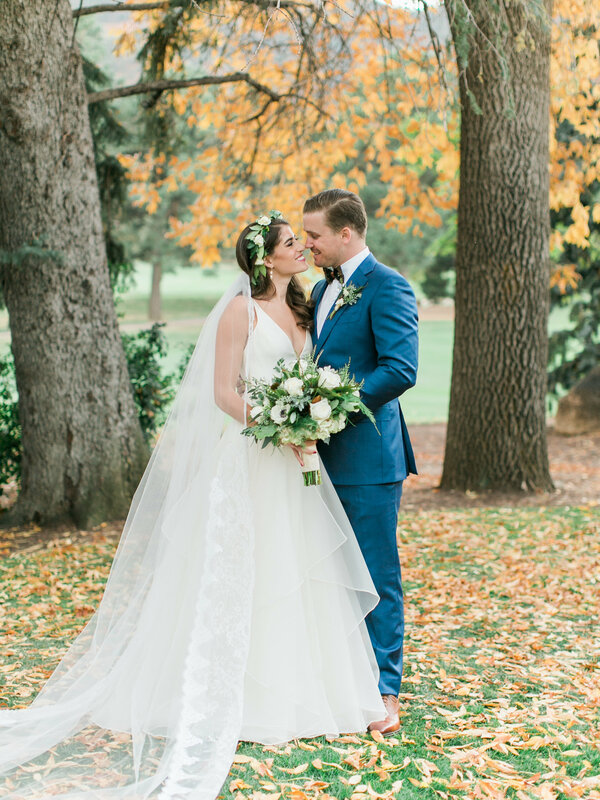 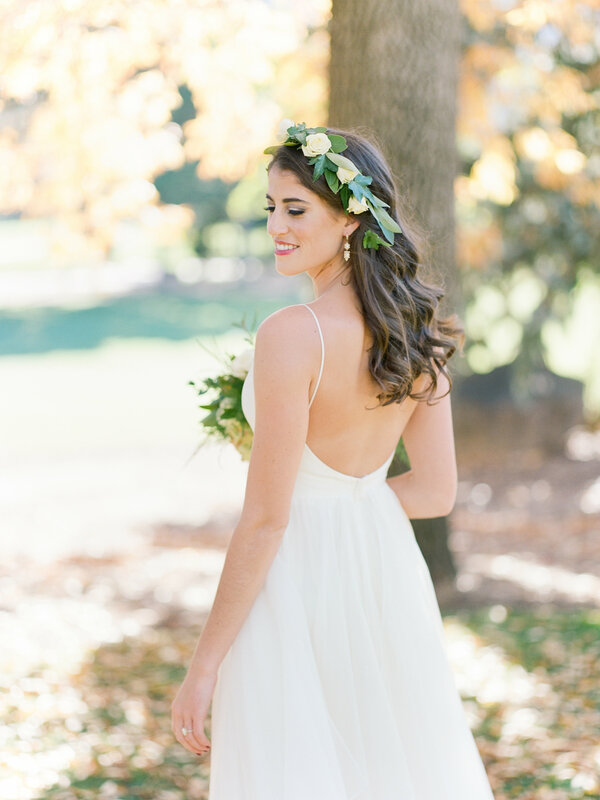 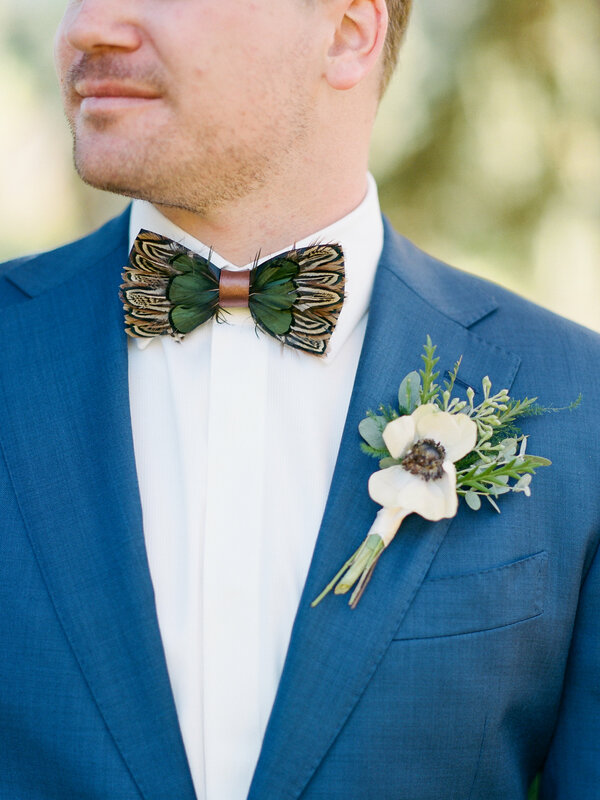 See more on our feature from BRIDES.